Cheke AS, Rocamora G. 2014. Duchemin's 'Linnet': was there a second species of native fody Foudia sp. in the granitic Seychelles? 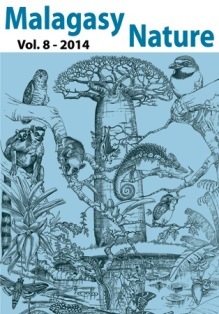 - with additional evidence for the mid-19th century introduction of F. madagascariensis. Malagasy Nature 8:73-79. Abstract. The identity of a red-headed passerine observed on Mahe in 1768 by members of the Marion-Dufresne expedition is discussed. Ruling out the presence of Cardinal or Madagascar Fody (Foudia madagascariensis) on historical grounds, we conclude that a second species of endemic fody may well have existed prior to the settlement of humans in Seychelles, and become extinct shortly after, probably due to predation by ship rats (Rattus rattus) that arrived with the human settlers. Don't add this fody to your life-list - if it existed, it is already extinct! You can download the paper at the above link.